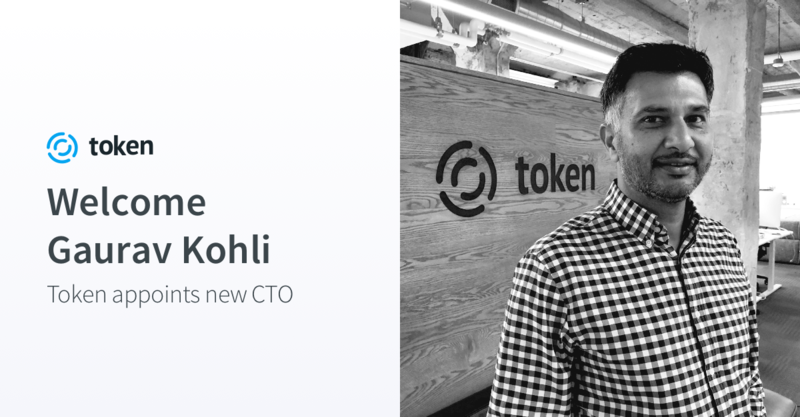 29 January 2019 – Turnkey open banking platform provider, Token.io, today announces that Gaurav Kohli has joined the company as Chief Technology Officer (CTO). Based at Token’s San Francisco headquarters, Gaurav is responsible for Token’s open banking platform, which enables banks, merchants and third-party providers to build PSD2-compliant payment and data aggregation services based on a single, universal API. He oversees international technology teams in London and San Francisco and will play a fundamental role in shaping Token’s vision for the future of open banking and payments, including launching new digital money solutions. As more markets and players look to capitalise on the opportunities presented by open banking and digital money, Gaurav will also support Token’s partner and customer relationships, drawing on his experience executing and leading large-scale, global projects for traditional and non-traditional payment companies. Token’s technology team combines years of highly successful execution and innovation in the technology, banking and security sectors. Gaurav brings over 15 years of leadership experience in technology and payments, including over five years at Visa as Vice President of Product Development, Architecture and Platform Engineering, where he was responsible for merchant and acquirer processing, and nearly two years at Renew Financial as Executive Vice President of Technology. He will report directly into Token’s founder and CEO Steve Kirsch.